Nearly half (44%) of freelancers say that they’ve been ripped off by a client at one point or another. I was shocked by this number at first…and then it happened to me. Chances are, if you are in the freelance business long enough, you will be forced to deal with an unethical client or two yourself. It’s bad enough that this is time and money that you’ll never see again. What’s worse is that while you were being taken advantage of, you were missing out on real opportunities with honest and respectable clients that were actually worth your skills and energy. Fortunately, from the job posting to the first interactions, there are many ways to identify a dishonest client before entering into a contract. However, once you’ve agreed to a project’s terms, the only choices you have are to work it out, take a loss, or—if working on a freelance platform—report them. The best way to learn anything is through the mistakes of others. We talked to dozens of freelancers and pulled together their collective wisdom on how to identify and deal with unethical clients every step of the way. Read on and save yourself from future heartache. While dishonest clients are a fact of life when you work as a freelancer, there are ways to mitigate your risks. The best time to identify a dishonest client is well before you begin working with them. Take a look at the example below. It’s incredibly vague, poorly written, and the client has no previous reviews. All in all, there’s nothing to suggest that this would be a worthwhile venture. Chances are, this project would be a lot of time and effort for very little return. Despite your best efforts, you may find yourself in a “professional relationship” with someone who starts to exhibit questionable behavior. This happens to even the most seasoned freelancers. The best thing you can do is keep your eyes open so you can address any potential issue as soon as possible. They ask you to work and communicate outside of the freelance platform, where there is no protection or assurance that they’ll hold up their end of the bargain (an exception here is with long-term and trusted clients). They ask you to do work that is beyond the scope of the original contract, and threaten to leave bad feedback, or otherwise damage your reputation if you don’t comply. One freelancer we spoke to said she had taken on a few lower-paying jobs to gain some positive feedback when first starting out on one of the freelancing platforms. A client she was working for used this to his advantage and tried to strong-arm her into doing additional work that was outside of the original contract. He threatened to give her bad feedback, indicating that it would be difficult for her to get higher paying jobs in the future. They ask you to do work that is outside the scope of the contract in exchange for a tip or a bonus that they’ll pay upon completion (or so they say). A variation to this scam involves a client who asks you to complete a small project for free, with the promise of a high-paying or long-term project if your work is good. They ask you to do work that is well beyond reasonable expectations. They ask for excessive edits/revisions, they want immediate replies at all hours, or they complain at every given opportunity. Many clients use this tactic on lower-priced projects, as freelancers will often sacrifice a small payment rather than continue to deal with a difficult client and potentially risk getting negative feedback. They ask you to work on a project that does not an active milestone or contract. Remember this: No contract, no work. No exceptions! This actually happened to me on one of the larger freelancing platforms when I was just starting out as a freelancer. I had been speaking with a client for about a week or so, and felt as though we had a good rapport. So I naively wrote and submitted an article that didn’t yet have a milestone (i.e., an active contract). I shouldn’t have been surprised when all of a sudden, our conversation stopped—after all, he had gotten what he wanted out of me! While I did get paid eventually, it took months, and only after I started the process of filing a dispute. They ask you to work on a contract with vague or shoddy wording that is easily open to interpretation. Without clear requirements, a dishonest client can expand their expectations at will, and leave you with no way to counter their claims. Once you’ve determined that your client can’t be trusted, all current work should be put on hold. Any promises of tips, bonuses, or future work should be ignored, as should threats—don’t let a dishonest client coerce you into doing free work! At this point, if you haven’t already done so, make sure to keep a record of all interactions between you and the client. You should also have copies of all the contracts that were agreed upon and the work that was completed. These will be important if it becomes necessary to report the client. Filing a report can be expensive and time consuming. Try to reach a mutual agreement that works for both parties, but don’t give in any more than you’re comfortable with. If no resolution seems possible, those working through a freelance platform have the option to report a client or dispute their claims. Reporting a client can be a hassle, and bringing a contract to arbitration can be costly. However, at times, this may be unavoidable. 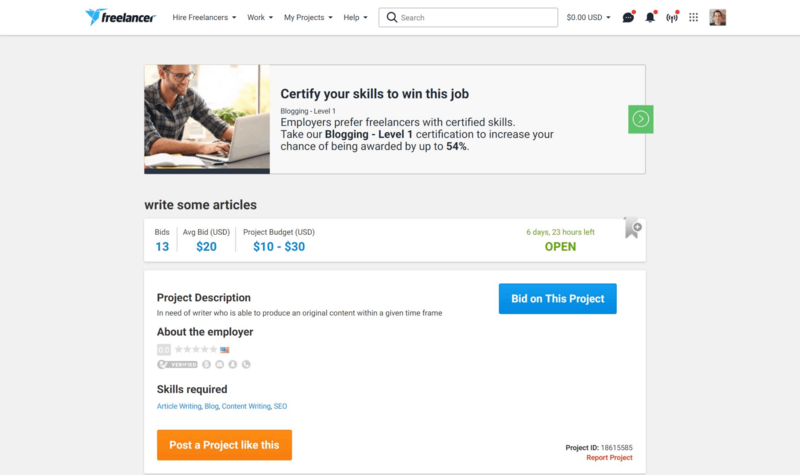 One of the primary benefits of using a freelancing platform to find work is the ability to report unreliable clients and dispute their claims. The reporting process varies according to the platform you’re using. Modify Order: If the scope of the project has increased and you’ll require additional funds to complete it, choose this option. It allows you to ask the buyer for more money, although they still need to agree to your terms. Extend Delivery Time: If the time required to complete the project is more than was originally agreed on, choose an extension. Ask the Buyer to Cancel the Order: If you and the buyer are unable to agree upon one of the above resolutions, you can request to cancel an order, although both you and the buyer must agree to the cancellation. If neither party is able to agree on the above options, it is possible to go one step further and contact Fiverr’s Customer Support to assist in the resolution—although in many freelancers’ experience, this is rarely effective. Attach all relevant evidence to the customer service ticket upon submission. This includes screenshots of the relevant conversations (especially if they contain threats or abusive language), the orders page, and the completed work. After a period of time, the platform will come to a decision—typically in the client’s favor, unfortunately. If a client refuses to release funds after the successful completion of a project or milestone on Upwork, the platform allows you to file a dispute against them. You can dispute an active contract, a recent contract, or a contract that a client is attempting to close. Once disputed, both parties will be requested to submit all evidence to support their claims. A dispute specialist will then intervene and attempt to mediate a solution that both parties can agree upon. In cases where parties are unable to come to an agreement, you can choose to send the case to arbitration. This should be avoided at all costs, as it requires both parties to submit a $291 arbitration fee, regardless of the disputed amount. If you’d like to report a client for a non-financial reason, such as someone who is being threatening, using abusive language, or sending scam messages, take a screenshot of the offending material and send it to Upwork’s Customer Service. Alternatively, you can “flag” a client’s profile, or choose to block them from contacting you. Filing a dispute on Freelancer.com is fairly straightforward – just open the help menu on the home page. Here, you can report any milestones that you believe you’re being cheated on. Stage 1: Identifying the issue: You select the project and associated milestone that you wish to dispute, explain the issue, enter the amount you believe that you’re owed, and submit the evidence that supports your claim. Stage 2: Negotiations: You and the client are expected to come to some sort of agreement, or a compromise you’re both okay with. If unable to negotiate, you can choose to send the dispute to arbitration. Stage 3: Final Offers and Evidence: You and the client are expected to pay the arbitration fee of $5, or 5% of the contested amount, whichever is greater, after which you’re given a final opportunity to submit evidence. Stage 4: Arbitration: You wait around 48 hours for the Dispute Team to reach their verdict, which is final and irreversible. The winning party’s arbitration fee will then be refunded. To report clients that are breaking Freelancer.com’s Terms of Service (but don’t necessarily owe you for work), simply take a screenshot of the offending material and send it to Customer Support. While there are identifiable signs that a client may be less than honest, there is no certain way to avoid all problematic clients. But while it may be hard to control whether or not you get an occasional bad client, you can control how you react to them. Always try and maintain your composure when dealing with an unethical client, as losing your temper can cause more harm than good. It can make you look bad should it come to arbitration, and has the potential to hurt your reputation on the platform. As a freelancer, your reputation is one of the most important things you have. It’s why clients choose to work with you, and it allows you to demand higher rates. Don’t risk ruining it by reacting unprofessionally.